Happy National Pet Day! We’re big animal fans over here. Like, HUGE. So we don’t need a special month in order to get us to spoil our dogs. Trust us, our babes are living their best life. We do however love any extra reason to give even more love to our pets. You too? (You’re our kind of people.) Keep reading for some fun ways to spoil your dog on this lovely holiday. Psst… this post contains affiliate links, which means we may receive a commission if you click on a link. We hope you like our picks! Okay, so this might be an obvious one, but it’s a good one. Our dogs go crazy for these Oravet Dental Chews. Not only do they clean their teeth ands freshen their breath, they taste amazing apparently. 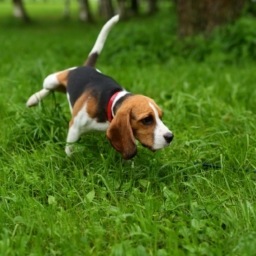 Treat your pup to some healthy and nutritious food. You always want to make sure the ingredients in your dog’s food are real food. 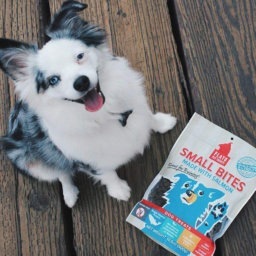 We like Fromm because it comes in different scrumptious flavors you can switch out when your dog wants variety, without their tum tum getting mad about it. 3. Sign Your Dog up for Barkbox! If you’ve got a dog, we’ve got a treat for you (and them). When you sign up for Barkbox, they’ll send you hilariously themed toys and delicious treats every month. The joy you see on your dog’s face when you open the box will be worth every penny. 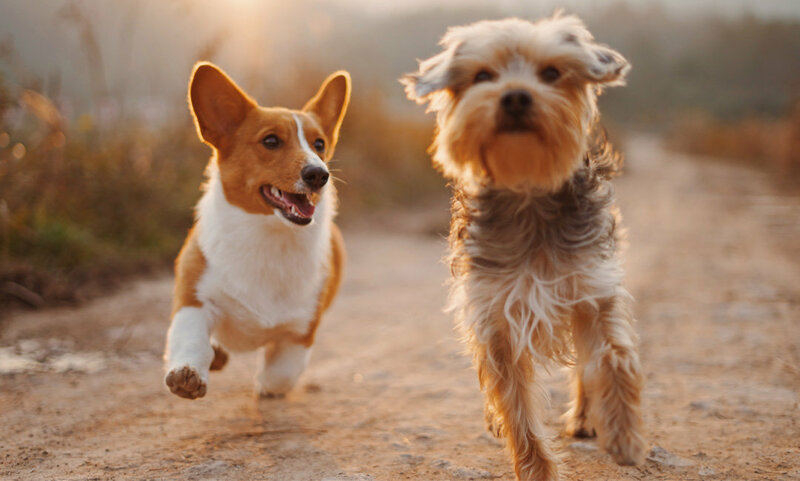 Whether it’s throwing their ball back and forth for a zillion times or really getting in there with that belly rub, your best friend will enjoy the extra lovin’. We’ve talked about this bed before. Our pups are completely in love with it. The cushy inside material allows them to melt into it and bonus—the cover is machine washable. So your bestie may not think of this as a way of showing your love, but your dog’s dental health is super important. Yearly teeth cleanings can help your pup live a happy long life. Treat them to an extra long walk around the park. Just make sure your babe doesn’t get overheated. Attach a collapsible bowl to your water bottle with a handy carabiner and take breaks to give your babe some water! Want to give a special treat to a special dog owner? 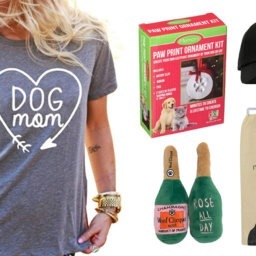 Check out these 10 Gifts for Dog Moms. 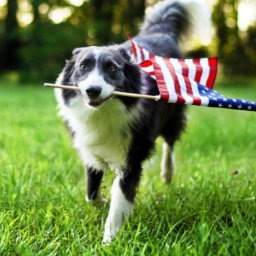 How are you celebrating National Pet Month? Let us know in the comments below!